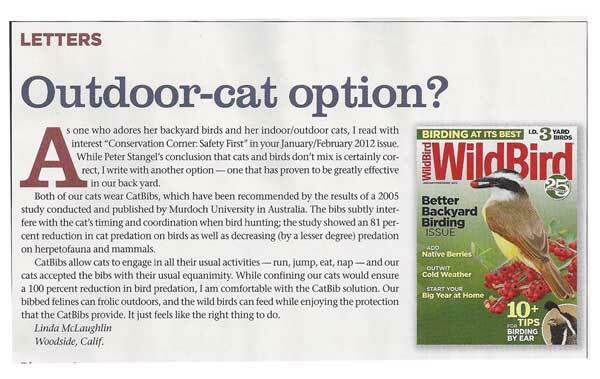 A growing list of magazines, newspaper articles and books from all over the world have featured the CatBib within their news articles praising its effectiveness to help prevent cats from hunting, attacking and killing birds. November 2017: Staff naturalist, Doug Hitchcox, at Maine Audubon recommends the CatBib. These bird saving ideas can be used all over the world, not just Maine. CatGoods.com also sells window stickers to stop bird window strikes. May 2017: A nice article on the CatBib published this week in Australia’s Narooma News. The Eurobodalla Council is distributing free CatBibs to reduce the threats domestic cats are posing on wildlife there. 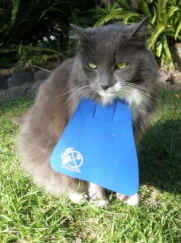 “We’re hoping it eventually becomes normal practice that cats wear CatBibs every time they go outside…. Ms Fink-Downes said the council held a trial in 2013-14 with cat owners in Congo to protect the greater glider received “nothing but positive feedback”. Thanks Eurobodalla for caring about cats, birds and other wildlife! January 2017: A New Zealand news paper ‘Times-Age’ publishes an informative case study from a local resident Mrs Ward, who has outfitted her cat (Teddy Bear) with a CatBib when other cat collar and bells weren’t working. “Mrs. Ward was skeptical at first, but quickly realized how successful it would be. ‘I kept thinking it (the CatBib) was going to be a nuisance, but found when he grooms himself, he grooms the bib as well.” Thanks Mrs. Ward, for doing your part in saving birds! November 2013: A United Kingdom product review magazine, with the funny name, WHICH?, features the CatBib in the article “Why songbirds are declining”. Thanks! August 10, 2012 NATIONAL PUBLIC RADIO interviews Dr Kerrie Anne Loyd, University of Georgia. She’s the researcher who put kitty cameras on cats to see what they do when outdoors. She recommends using the CatBib to stop cats from killing wildlife. ” Listen to the interview. February 24, 2011 Dr. Pete Wedderburn in his column, Pets Subjects, for The Telegraph, a London newspaper, recommends the CatBib to stop cats from killing birds. March 2010 Johns Hopkins University Press, “URBAN CARNIVORES: Ecology, Conflict, and Conservation” (Hardcover) by Stanley D. Gehrt (Editor), Seth P.D. Riley (Editor), Brian L. Cypher (Editor) – The CatBib begins the chapter on The Ecology of Dogs and Cats. 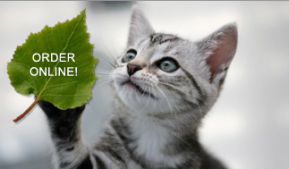 August 2009 Rodale Press, “WHOLE GREEN CATALOG: 1,000 Best Things for you and the Earth” by Michael W. Robbins, Wendy Palitz, Bill McKibben, Renee Loux – features the CatBib in the chapter on “Greening Your Pet”. April 2008: Prevention magazine – Save the birds By Rebecca Skloot. Feline predators can cause serious ecosystem damage–it’s estimated that domestic cats kill hundreds of millions of birds each year. So consider the CatBib (about $11; catgoods.com), a brightly colored barrier to your cat’s paws that interferes with hunting ability. Prevent your cat from killing birds. Over 200 testimonials from customers that decided CatBib was the perfect way to stop their cats from hunting!! !